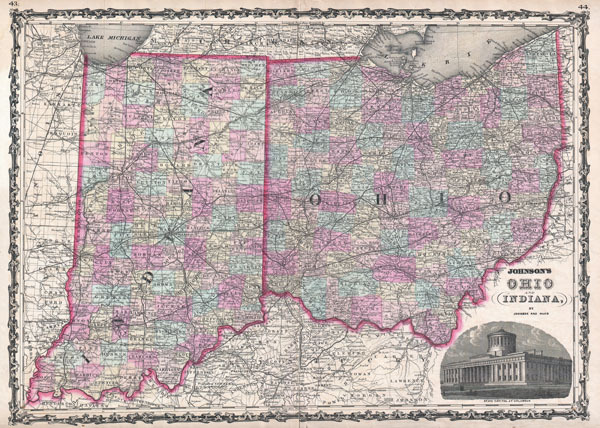 Johnson's Ohio and Indiana, by Johnson and Ward. Johnson's New Illustrated (Steel Plate) Family Atlas, (1862 edition). Very good condition. Minor verso reinforcement and repair along original centerfold. Minor toning. Blank on verso. Rumsey 2905.023 (1860 editon). Phillips 6140.36-37 (1860 edition).